I find books--and movies and shows--dealing with teen pregnancy to be interesting (maybe because it's the closest I get to seeing my ships in the future living happily ever after with little babies? ), and I don't see it very much in the former. 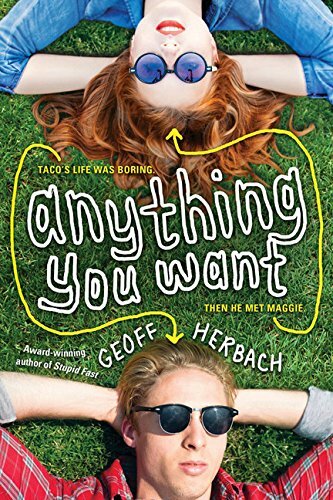 So when a book like that pops up I want to read it, and this one seems extra compelling because 1) the guy's name is Taco and 2) I think this has a larger focus on the teen father. 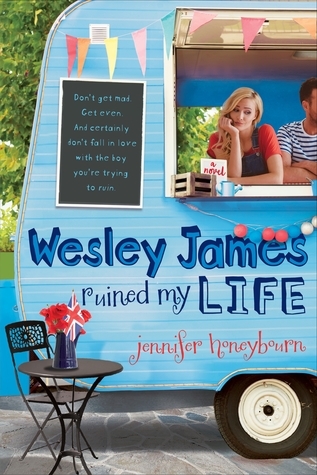 Plus, the cover suggests this contemporary will be on the lighter, fluffier side, and I love books like that. In other words: this book, I want it. “Today is the best day of your life, and tomorrow will be even better.” These are the wise words Taco’s mom used to live by…before she died of cancer. But when Maggie Corrigan agrees to go to junior prom with him, suddenly, Taco’s mom’s mantra gets a lot easier to believe. Then Maggie ends up pregnant. With his own family falling apart, Taco is excited by the news. It will be a fresh start, and he has so much love to give. But with Maggie’s parents on a rampage and far from willing to let Taco into their life, he’s about to learn that sometimes love doesn’t go as planned. Does your pick this week have a fun cover? Interesting pick! I think my pick has a gorgeous cover, but not necessarily fun. My WoW is the last in a trilogy... which always makes me nervous because those are the books I take forever to read. Wow this one sounds super interesting! Thanks for sharing it. I love that the guy's name is Taco haha~ Cute! I love that cover, it's so cute! This book sounds like it would be kind of intense but sweet too. I'd just have to get used to a character named Taco, lol. I'm going to add this one to my TBR list. Thanks for sharing! Here's my WoW. Happy reading!